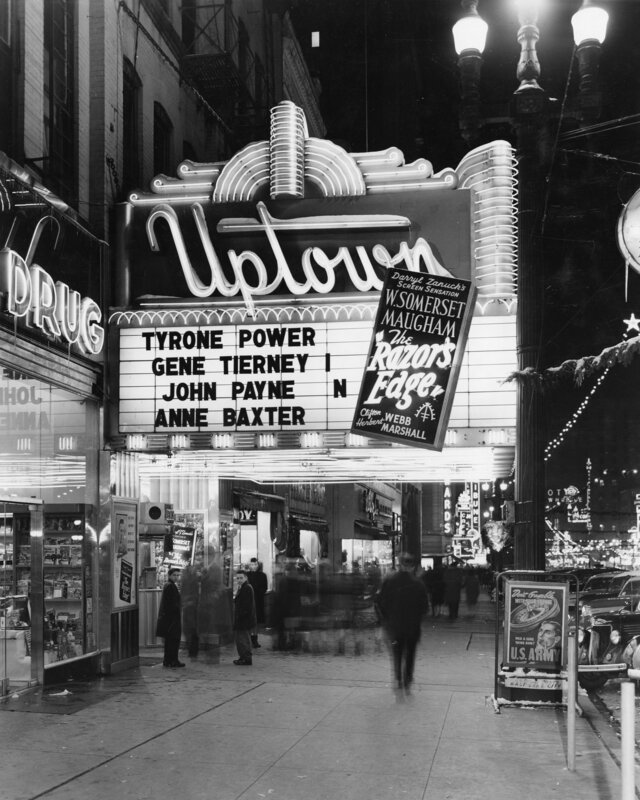 Description Uptown Theatre, north side of the entrance. "The Razor's Edge," December 28th, 1946. Shipler Commercial Photographers Collection, #49698.